We are well into Autumn and what better way to settle in than with some solidarity to US held political prisoners and POWs. This Tuesday’s NYC ABC dinner will focus on two Anti-Imperialist Political Prisoners– Jaan Laaman and Tom Manning. Both are imprisoned for actions carried out by United Freedom Front (UFF), a clandestine revolutionary organization active in the United States in the early 1980s. The group targeted government institutions and major corporations that had ties to the South African Apartheid system or right-wing paramilitaries in Central America. This included taking actions directly against the South African and United States governments. The UFF carried out targeted bombings of corporate buildings, courthouses and military facilities as well as bank robberies to fund revolutionary projects. Both men were deeply involved in anti-South African apartheid organizing. Illustrated Guide Version 13 Uploaded! Illustrated Guide Version 12.10 Uploaded! The summer is officially here and what better way to kick it off than with some solidarity to US held political prisoners and POWs. 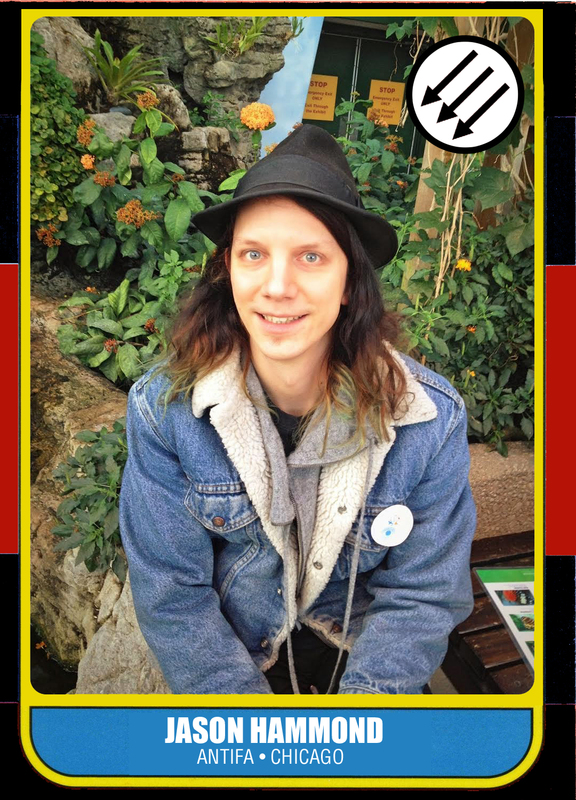 This Tuesday’s NYC ABC dinner will focus on two Anti-Imperialist Political Prisoners– Jaan Laaman and Tom Manning. Both are imprisoned for actions carried out by United Freedom Front (UFF), a clandestine revolutionary organization active in the United States in the early 1980s. The group targeted government institutions and major corporations that had ties to the South African Apartheid system or right-wing paramilitaries in Central America. This included taking actions directly against the South African and United States governments. The UFF carried out targeted bombings of corporate buildings, courthouses and military facilities as well as bank robberies to fund revolutionary projects. Both men were deeply involved in anti-South African apartheid organizing. Jaan has been in solitary confinement for over three months as punishment for releasing two statements in early March; one having to do with the Women’s Strike & the other having to do with our recently deceased comrade Lynne Stewart. We recognize that the State will only enforce the laws that suit them and in turn will also disregard them when it suits them, so this blatant denial of Jaan’s free speech comes at no surprise. It is our hope that the flood of letters we send to Jaan at this time will not only lift his spirits in this time of repression but also show those who keep him locked behind the walls how little we think of their efforts to silence him. 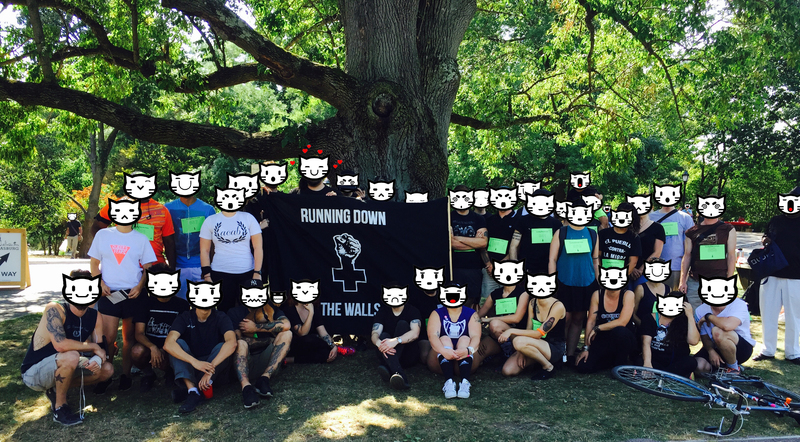 Running Down the Walls (RDTW) 2016 was a success in building relationships, feeling the solidarity of running as our imprisoned comrades did the same, and raising funds for the ABCF Warchest and the Queer Detainee Empowerment Project (QDEP is a collective Alternative to Detention (ATD), detention center visitation, direct service, and community organizing project that works with Lesbian, Gay, Bisexual, Queer, Two Spirit, Trans, Gender Non-Conforming, and HIV+ detainees and their families currently in detention centers, those that are recently released from detention centers, and undocumented folks in New York City). The fear factory National Weather Service gave us pause and we considered rescheduling this year’s event with tropical storm Hermine looming just off the coast. As it turned out, we had no floods, no rain, no high winds, just perfect weather for running. Crisis averted! We arrived early, to avoid getting beaten to a sweet spot in Prospect Park, Brooklyn, by the gaggle of goofs clawing to get to a food circus we refuse to name. This gave us time to set up our hand-painted RDTW banner and tables of literature & food. The aforementioned mall food court for the self-perceived well-heeled was dropped squarely in the middle of our run path last year, so we switched it up on ’em. This year, our 5k was more like 5.2k (sorry, distance nerds) and consisted of a single lap around what is known as the Main Loop. Given that this was also a picnic—outdoors, breezy, and mildly unpredictable, we set up a scaled down version of our literature table. This meant our ubiquitous red wire rack of free literature, including copies of the recently published Conditions of Confinement (writings by anarchist prisoner Casey Brezik), the NYC ABC Illustrated Guide to Political Prisoner and Prisoners of War, and all of the tri-fold pamphlets about many of the prisoners we support. Before the run, an NYC ABC collective member went over some basics, while also kicking facts about political prisoners and state repression. We then played a greeting from Jaan Laaman, recorded specifically for the event. Of the 60-70 folks who came to RDTW 2016, about 45 participated in the 5(.2)k. The age range was 4-72 years old. Hashtag multi-generational. Several runners were serious, several were fast, and the venn diagram of those two categories resulted in the same few folks running the fastest laps this year as last. After running, bronchial passages fully dilated, what sounds better than a plate of barbecue and potato salad? The picnic consisted of Texas-style barbecued jackfruit sandwiches with fresh pickles; potato salad; a variety of chips & cold drinks; and some outstanding cranberry blondies. Yes, a lot of folks came just for the food. Before we got too deep into socializing, we read solidarity statements written for the event by Bill Dunne, Kojo Bomani Sababu, Hanif Bey, and Xinachtli. One participant garnered over $1,000 in sponsors, and several others raised hundreds of dollars each. All told, we raised a respectable amount of loot. Folks sitting around, talking, having just shared the run, felt good. The group consisted of folks from diverse backgrounds, many of whom were new faces to our collective. Instagram followers brought IRL friends, and comrades & allies turned up as well. Release Aging People in Prison (RAPP), NYC Jericho Movement, International Leonard Peltier Defense Committee, Malcolm X Commemoration Committee, Family and Friends of Maliki Shakur Latine, the campaign the Bring Mumia Home, Marius Mason’s support crew, the Certain Days: Freedom for Political Prisoners Calendar, and the campaign to Free the MOVE 9 prisoners were among the represented organizations that explicitly work on political prisoner support. There were also folks from NYC Animal Defense League, the NYC Anarchist Book Fair, Black and Pink NYC, Rojava Solidarity NYC, Incarcerated Worker Organizing Committee NYC (IWOC), WESPAC, and Books Through Bars, among others. We were also thankful for the presence of Sekou Odinga and Susan Rosenberg, former political prisoners and consistent examples of solidarity through action. 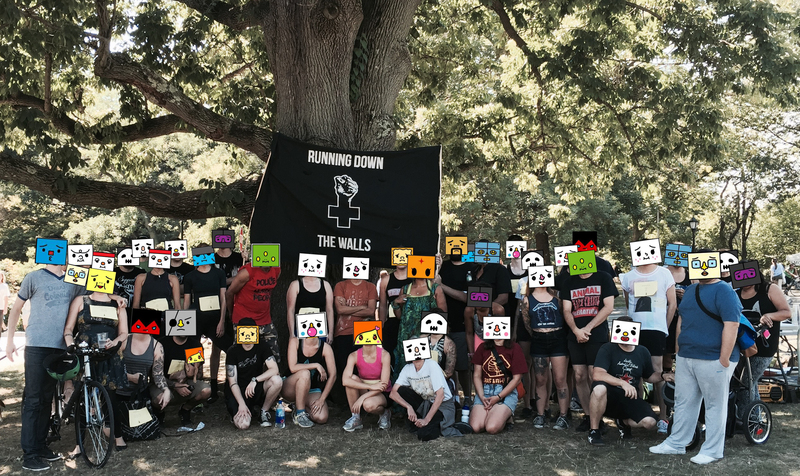 Knowing the history of the run and the imprisoned comrades with whom we ran in solidarity elevated Running Down the Walls 2016 to an even more inspiring level.